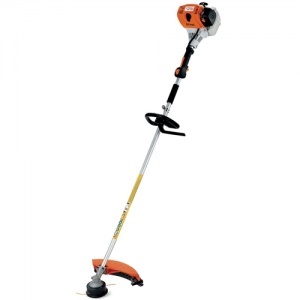 Add versatility to your existing STIHL tools with this lightweight hedge trimmer attachment. Great for STIHL's FS 90 R, FS 100 R, FS 111 R, FS 130 R and FS 131 R machines, this hedge trimmer attachment has an angle adjustment of 145 degrees. It also features a bar length of 50 cm / 20 inches, plus boasts a space saving carry position. STIHL's extremely powerful 1.05kW loop-handled petrol brushcutter is ideal for professionals doing large scale property maintenance or landscaping tasks. With the innovative 4-MIX engine technology, outstanding performance comes as standard. A powerful petrol brushcutter, complete with 4-MIX engine and loop handle control. 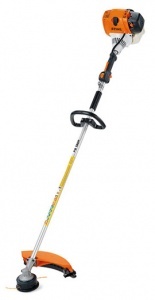 Includes anti-vibration system, automatic decompression and tool-less handle adjustment.